Austin Clarke, originally uploaded by johnwmacdonald. 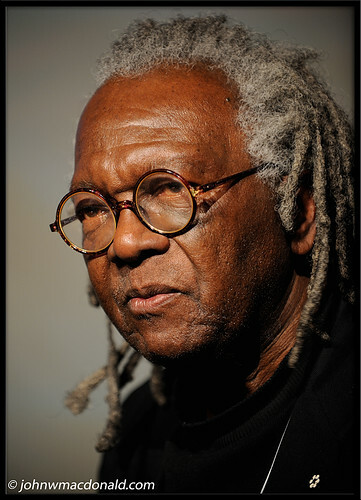 Austin Clarke, winner of the Giller Prize, the Commonwealth Prize, and the Trillium Prize, returns to the Ottawa International Writers Festival with his acclaimed new novel, More. Great portrait John, ...there's a sense of tired wisdom about Mr. Clarke; it really captures the inside-out of the/a writer. Wow. That is a great portrait.